If life stinks try not to let it get you down. 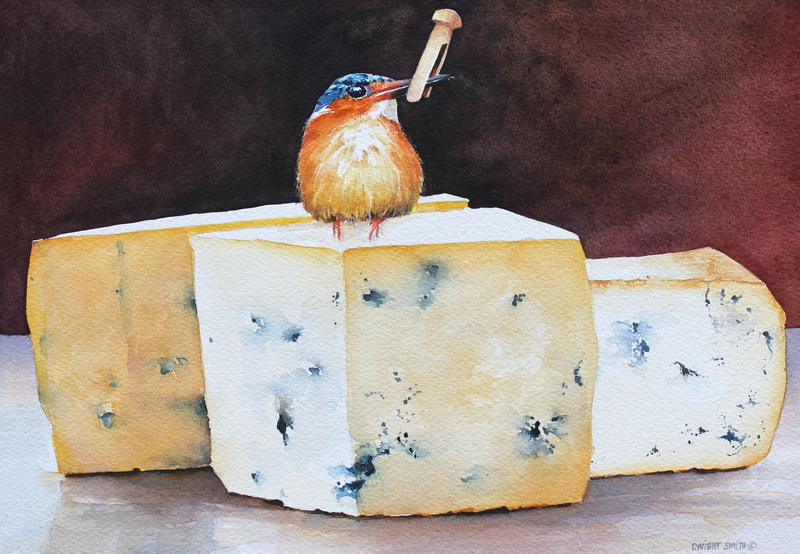 This is a original watercolor painting of a little bird perched on a block of blue cheese. This is a funny food themed watercolor. It is painted in the realist tradition. This painting is available at UGallery.com.